The tragedy at Dreamworld on Queensland’s Gold Coast reverberated across an entire nation for one simple reason: it could so easily have been one of us. Take Cindy Low, for example. The 42 year old victim was my age. Our sons are the same age and prior to last Tuesday, it appears that all four of us shared a love of theme park rides. 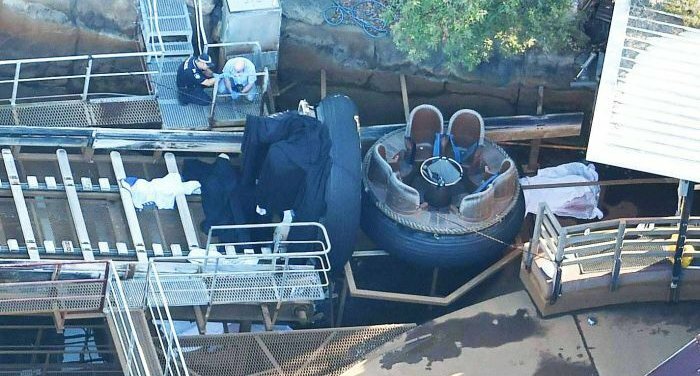 The implication is clear: it could have been me on that ride. It could be my son who is now motherless. This sense of horrible inclusiveness goes some way to explaining the widespread reaction to Queensland Ambulance spokesman Gavin Fuller’s public statement that after all four victims were assessed, it was determined they suffered “injuries that were incompatible with living”. Let me be clear. Mr Fuller and all emergency services personnel present on that day have my full and deep admiration. No one should have to witness what they do, and no one outside the emergency services can ever truly understand the traumatic effects of such a job. Add to that the pressure of fronting the national media, and I have great sympathy for Mr Fuller’s position. But when I heard his words I cringed, along with many other people. “Such cold, impersonal language” tweeted one. “What a horrible phrase” tweeted another. “Heartless-sounding” and a “weaselly phrase” were other comments. When I heard Gavin Fuller’s words I experienced a feeling that I liken to being unexpectedly punched in the stomach. I felt sudden shock, pain and confusion. My immediate reaction was to think “You’re talking about people. Please show some humanity”. What’s come to light since is that the phrase Mr Fuller used is a technical one, found in Queensland Ambulance Service operation manuals and used to describe injuries that are so severe that CPR is not advised. Therefore, what he said was entirely correct. But does that make it appropriate? I think not, because industry jargon never works well in media interviews. Clearly, his second answer was far more appropriate for his intended audience. The problem is, industry jargon is so easy to fall back on. These are words and phrases that we say at work all the time, to colleagues who understand us perfectly. So it’s no wonder that jargon flows easily out of mouths in times of stress, such as media interviews. The key to avoiding jargon in interviews is to remember your audience. Who are you really speaking to? Not the journalists – you’re speaking through them, to reach other people. When you’re clear who your primary audience is, then you’ll remember to use language appropriate to them. In the Dreamworld case, Mr Fuller had a mass audience. We were all saddened and horrified to hear what he had to say but really, the vast majority of us were just bystanders. I think his primary audience – the people who mattered the most at that moment – were the victims’ families and friends. This is a much softer, kinder and far more human way of saying the same thing. Again, I am loathe to criticise the Queensland Ambulance Service in this way – those first responders went through hell at that accident scene and still did their job to a very high standard. This blog is really only trying to say that media training is very useful in picking up jargon, bringing it to spokespeople’s attention and helping them find better ways to communicate. Media training before a crisis can prevent the use of jargon clouding what it is you really want to say. Next PostBe Like The Donald. I'm Serious.